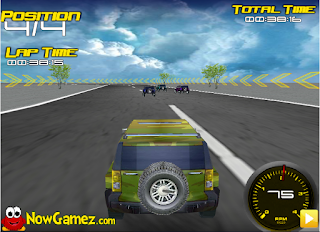 Race with giant Hummer cars on various track. Beat the other Hummer drivers and set the fastest time. You can even drive in the rain.